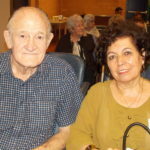 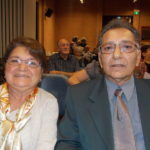 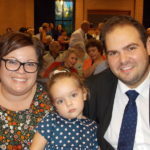 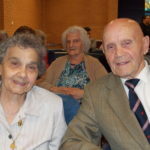 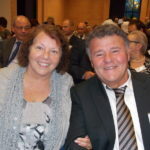 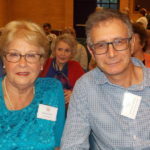 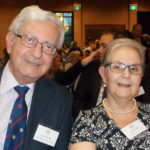 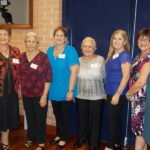 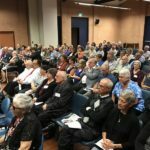 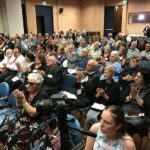 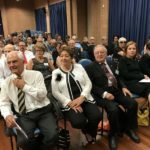 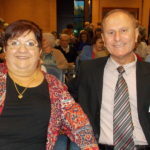 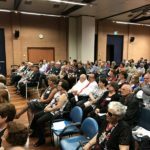 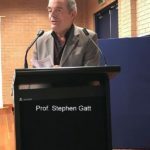 On Wednesday, 8th March, the Maltese Welfare (NSW) Incorporated held its annual Quiet Achievers – Night of Recognition, as part of Seniors Week NSW. 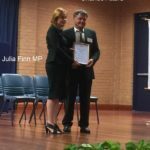 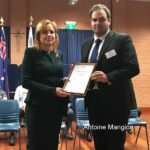 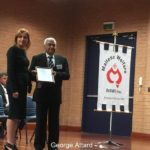 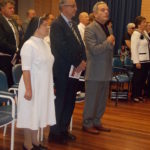 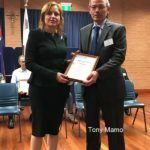 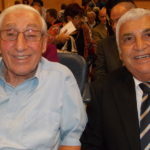 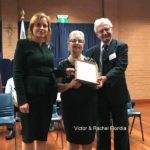 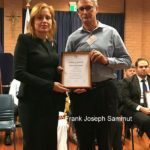 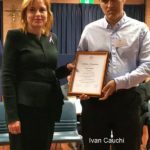 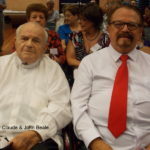 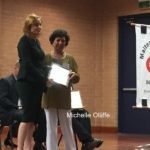 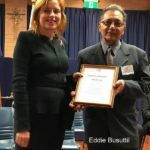 In front of a full hall at the auditorium of the Annunciation Hall at St Dominic’s Home for the Elderly, Blacktown NSW, Twelve Maltese individuals were awarded a Certificate of Recognition for the volunteering work they perform, and have been performing, right through the years. 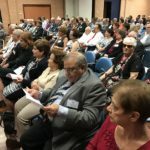 The help they provide, gratis, is not done exclusively among the Maltese community only, but spread among all the community. 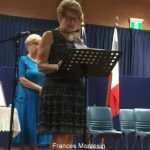 Proceedings began on the stroke of 7.30 pm with the MC Nathalie Gatt welcoming everyone and then proceeded to ask everyone to be upstanding for the Advance Australia Fair and l-Innu Malti. 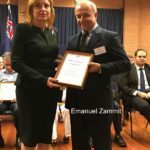 Maltese Welfare’s President, Lawrence Dimech was next to take the podium to welcome the distinguished guests and the awardees for the special evening. 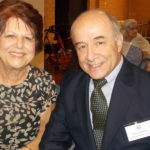 This year for the first time two special awards were given to John Beal and Maltese Elderly Thanksgiving Day Group. 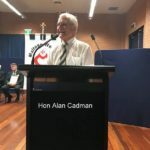 He reminded everyone of the importance of volunteering and encouraged the younger generation to continue the sterling work, that the persons who are being given recognition on the evening, have done by contributing their share to society in helping others less fortunate. 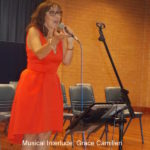 Entertainer Grace Camilleri kept the audience spellbound with her rendition of various beautiful Maltese and English melodies. 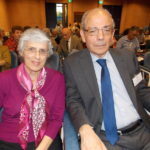 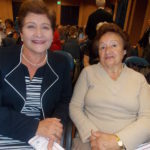 Doris Grima,and Frances Montesin in English and in Maltese respectively, introduced the persons being given recognition to the audience and asked them to come on stage to receive their certificates from Julia Finn MP. 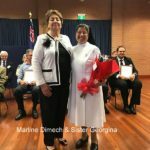 Marlene Dimech presented Sr Georgina with a bouquet of flowers as token of appreciation for the help the Maltese Welfare receives each year during the organising of the QA event. 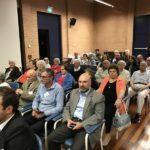 Also attending for this prestigious event were hon Alan Cadman MP, Marie Louise Muscat from Fiducian Financial Service, and the President of the Maltese Community Council of NSW, together with many representatives of Maltese organisations in NSW. 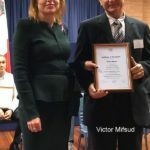 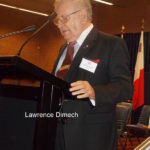 The President of the Maltese Welfare ( NSW) Inc. Mr Lawrence Dimech OAM MOM JP ended the proceedings on the podium with a speech where he praised the Maltese Welfare for the work that it does for the benefit of the Maltese community and also thanked the recipients of the award for the good work they perform throughout the year. 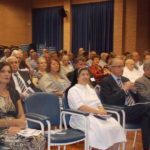 The evening concluded with light refreshment where everyone intermingled. 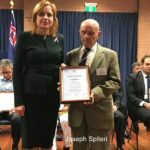 Photos of the event.This is the 17th year that the Maltese Welfare (NSW) Inc. had organised this event.